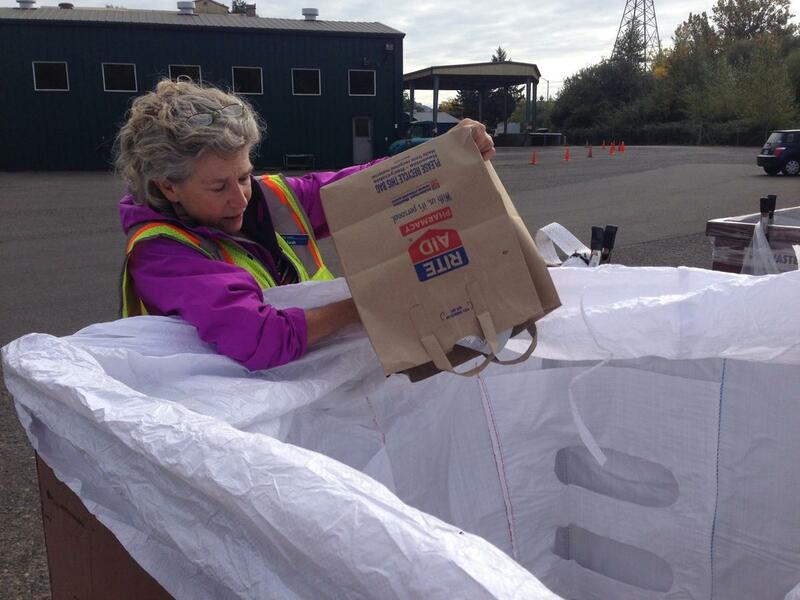 Sarah Grimm sorts containers into large bags at the October, 2018 Lane County Plastics Round-up. Lane County Waste Management is holding their second plastics roundup at the Glenwood Transfer station in April. But this time there is a way to get your plastics in even earlier. The first event last September saw 963 vehicles dropping off goods. Now organizers hope to limit wait times and emissions from motorists by giving early access to “community collectors”- volunteers who gather plastics from employees, neighbors, and friends. 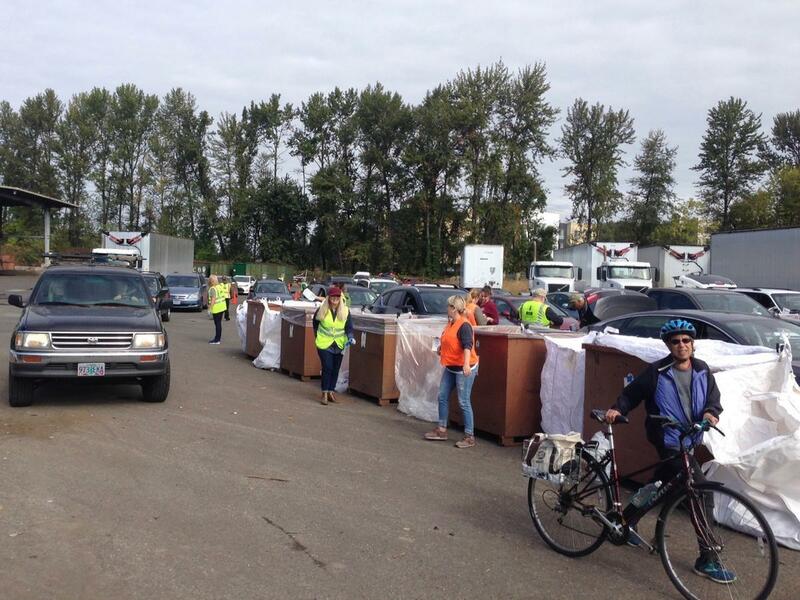 Long lines of cars, and a bicycle, line up to turn in plastics at October's Lane County Plastics Roundup event. Collectors will be provided with signage, sacks, and training on material preparation. Otherwise people can drop off plastics on April 7th from 10am and 2pm. Clean #2, #4, and #5 tubs, bottles, lids, and 6-pack handles will be sent to Denton Plastics to be used to make new resin products. 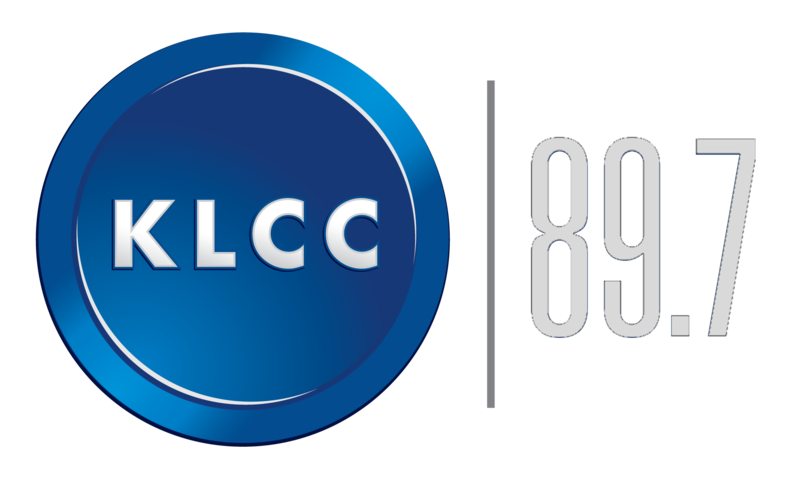 To register as a Community Collector, click here. Lane County loves to recycle. At Sunday's 'Plastics Round-up' at the Glenwood Transfer Station in Springfield, nearly 300 people participated in the first hour.